Location and tracking device that combines GPS and GSM technologies, using an application installed on the phone, which transmits periodically analyzes the geographical location and if it is within or outside the Geofence . Turn, provides a button to hit panic alerts which are immediately transferred to the platform and sent by e-mail and SMS with Panic Alarm and geographic location of the device. The company administrator accesses a web control panel from which monitors Phones, states and alarms displayed, set parameters and display Geofence. WHAT CAN YOU DO WITH TRACK DK (MOBILE DEVICES)? Location: periodically reports the location of the team. Tracker: map displayed on the points where the device was located. Geofence: set control area and set alerts to notify you by email or SMS if entered or left the defined area. Panic Button: send a sms or e-mail when the user presses the panic button on the phone. Free / Busy button: sends status report by the geographical position to display phone status on map. Start Tracking: to start sending their positions in real time every 2 minutes and get a detailed route. 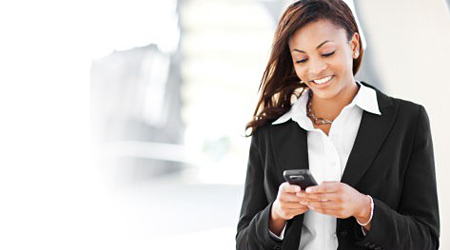 Configuring Alerts can enable sending sms and emails, indicating in each case the recipient with a line number or an e-mail, respectively. 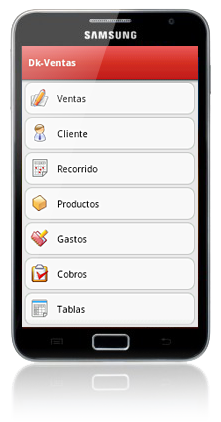 Is an application that resides on the phone, it is intended to provide more effective for all those companies that have teams develop their tasks outside the enterprise: vendors, preventistas, jobbers, distributors, service. Dk Sales makes managing presales, direct sales and distribution of products as possible manage orders, returns, packing slips, invoices, record expenses, charges and visits from Mobile, having the data updated at all times. Dk Sales gives you the ability to work without the need for the device is connected to the mobile network data synchronizing information when connectable. The company administrator accesses a web control panel monitors from which users obtain information online transactions, edit data and synchronize business data with Deka platform. WHAT CAN YOU DO WITH DK SALES? Issue invoices and packing slips. Save costs, charges and visits. Check and update contact details. Use GPS navigation functions defined path to follow. 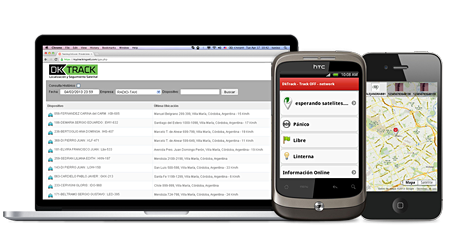 Upload and manage orders and orders on the phone to the server. Get statistics and daily reports on mobile. Monitor tours, stocks and orders in real time. Wireless barcode readers , bluetooth printers. Build your own smart forms or use the multiple industry standard smart forms included to capture data and manage works flows status. DK Forms can work of line, print forms, read QR codes, upload pictures and register device GPS position. It is an application that resides on the phone, designed for creating Work Orders, Surveys, Market Research, Inspections and all kinds of tasks that require data collection including photographs and geographic location. The forms are flexible and open, very intuitive and easy to use making it a strategic tool for capturing and request for information on the street. Dk Forms gives you the ability to work without the need for the device is connected to the cellular data network, synchronizing information when connectable. 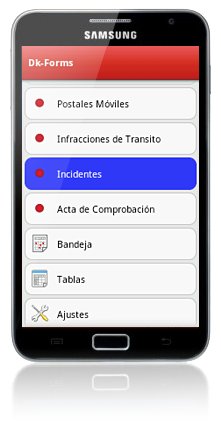 INCIDENTS • Form that allows the loading of events like accidents, traffic accidents, etc. The mobile user can submit forms with photographs, geographic coordinates, etc. WARRANT SERVICE • Form informing a mobile user must perform the work. From your device the user can complete fields notify the works. ORDERS VISIT • A central operator loads travel / visits to be made by (mobile) users, whom a notice reaches them on your device. They modify the orders sending states Received Sent when then make the trip. CUSTOMER SERVICE • Form to implement satisfaction surveys. WHAT CAN YOU DO WITH DK FORMS? Mobile forms that offer the advantage of being operational and economical than paper. Creating specific survey campaign / interviewer, automatic submission of forms for the interviewer to record the data , updating the data gathered in real time. Statistical Reports Web available for consultation from the mobile and PC. Work Order Management: order entry work from the web to automatically send to the mobile and then check the status of it. Issuance of proof of compliance of service provided, attach pictures. 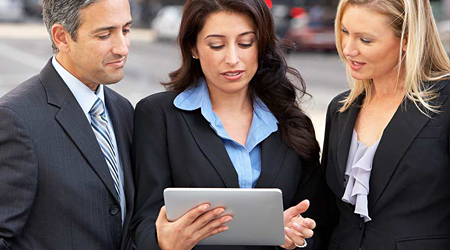 Perform monitoring and tracking actions and routes of vendors, distributors and inspectors. Print forms (connection to Bluetooth printers). Event Log, detail service, parts, photos, signatures and geographic location. Dynamic Workflow from the web management platform operator may generate new forms and send them to the device for the mobile user to modify and resubmit the operator of the company again. Manual capture of coordinates, the mobile user can press a button to capture the geographic coordinates of the place where you are.